Did you know today is National Pound Cake Day? 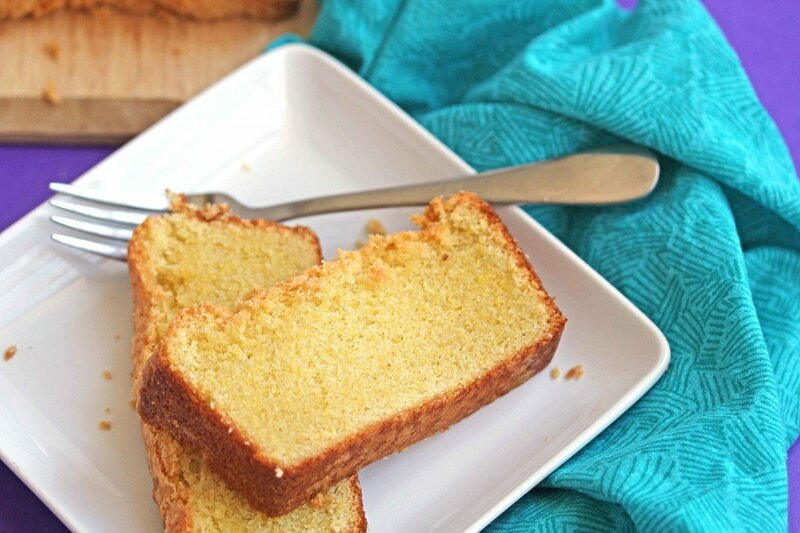 I thought I would do a little celebrating with an atypical Cornmeal Pound Cake recipe share. It has a flavor profile and personality all its own which reminds me of the genesis of my baking journey. 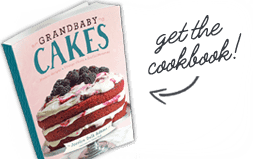 When I first started baking, I only made two things: cornbread and pound cake. They were fast to learn and simple to make. It only makes sense that they should combine into one recipe of cornmeal pound cake right? The cornbread I made was from a Jiffy mix box. It was sweet, tender and moist when made with buttermilk. When I started making cornbread from scratch, I always used Jiffy as the prototype. In fact, I think my scratch cornbread recipes are even better. I haven’t used a box of Jiffy in years! Next was pound cake. From 7-up pound cake to cream cheese and sour cream pound cakes, these became easy recipes for me to master. 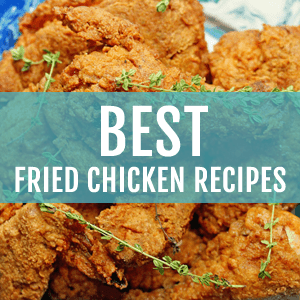 I learned the recipes by heart, and they inspired me to branch out and try new recipes. 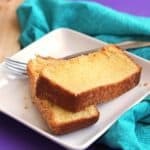 This cornmeal pound cake recipe is also one I have committed to memory because it is so unique and yet so delicious in its own right. It borrows a page from both the cornbread and pound cake books and seamlessly blends into something special. My husband was a bit skeptical to try the recipe at first because he is a simple guy who believes things should be separate but I was able to convince him that these two together work quite well indeed. So how exactly is cornmeal pound cake created? Well the base of the recipe is a standard buttermilk pound cake but the ratios are a bit different due to the addition of cornmeal. The result is a grainier texture that is still light and moist, which is a miracle in and of itself. It has a flavor profile and personality all its own which reminds me of the genesis of my baking journey. 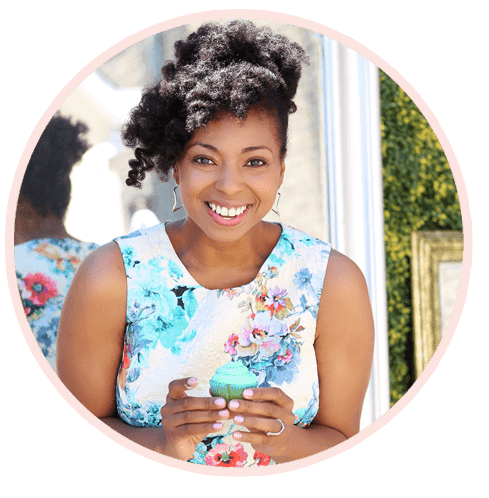 When I first started baking, I only made two things: cornbread and pound cake. They were fast to learn and simple to make. It only makes sense that they should combine into one recipe of cornmeal pound cake right? In the bowl of your mixer, add butter and sugar and mix on high speed for 3-4 minutes until light and fluffy. Turn mixer down to medium speed and add in eggs and egg yolk one at a time beating after each incorporation. Next turn mixer down to low speed and add in cornmeal, flour and baking soda until well blended into batter. Add milk and vanilla extract and continue to mix until batter is smooth and well incorporated. Spray a loaf sized baking pan with non-stick baking spray. Add batter to loaf pan and bake in oven for 30-40 minutes or until toothpick inserted in center of cake comes out clean. Take loaf pan from oven and cool for 10 minutes. Next remove cake from loaf pan and continue to cool on wire rack then serve. This is delicious! Thanks for sharing! Do you think it’d be a mistake to add a packet of instant pudding? I’m trying to achieve a dense, buttery cornbread texture for a dessert concoction I’m trying (maybe something between this recipe and a clafoutis) and am wondering if the pudding packet would just kill this recipe. I see the pudding in some of your other recipes so I got curious! Thank you so much! Hi Amanda, honestly I wouldn’t add it to this cake. Try it first on it’s own and let me know what you think. I’m confused. The first line of instructions say to combine “butter, sugar and cream”, but there is no “cream” listed in the ingredients, and the milk is listed as being added later. I’m going to try this recipe for a Memorial Day dinner…hope the cream isn’t a recipe breaker. Hi Lorri, the term “cream” in this recipe really is another word for mix together. There isn’t any actual cream as an ingredient in the recipe so you are good to go!! Let me know how it turns out and share with me your results. Enjoy your weekend. Thanks so much. Make sure you use real straight up cornmeal. Not Jiffy mix. Thanks Renata! Let me know how it goes. Sure enough, I bought new baking soda, and now it turned out perfect! Hi there. I made the recipe just like you said, but my cake completely deflated in the end. It’s almost down to the pan, in the middle. It’s delicious, but I obviously did something wrong. Could you help? What did I do? Hi Renata, I am sorry you had trouble with this. A couple of things to check are the temperature of your oven, how long you have had your leavening for, how long you mixed the batter. Also did you do the recipe completely as written or make any substitutions. Happy to help. Did it exactly as on the recipe. No substitutions. I checked that my oven was the right temperature. Will check the date on my baking soda , and maybe try again. 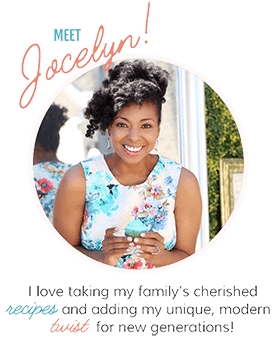 Jocelyn,so glad I found you.I qill be making this with butter milk.Thanks for this recipe,looks so good. Oh gosh. I can only imagine how insanely delicious this is. I live for cornbread and pound cakes are one of my absolute favorite desserts. I have got to try this out soon! I think you would love it Graham!!!! I am so glad you discovered me too!!! I hope you come back and check out my new recipes!! Yes, I didn’t think about that but that would be an awesome idea. It’s my first time seeing pound cake which includes cornmeal! I already know that I’d love the grainer texture. The pound cake looks moist and yummy! Yes there is a bit of a grainy texture but it really works! Thanks so much Nami! I love food holidays! This pound cake looks so good, and how fitting for the whole Mardi Gras celebrations! Yes, this actually was kinda perfect with Mardi Gras as well. Thanks so much girlie! There’s a food holiday for everything out there it seems like, but I get celebrating pound cake. Especially one that is half cake half cornbread – two of my favorite foods. They are totally two of my favorite things too! I like the sound of pound cake with cornmeal! I made a cake with some semolina flour not long ago and I really enjoyed that. I love giving classics a little more personality. Yes I love jazzing up the classics as well with new flavors. 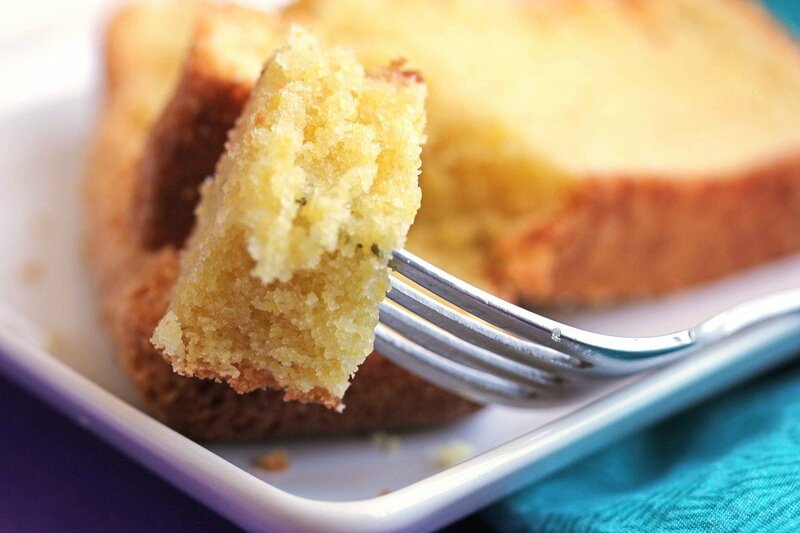 Your cake with semolina sounds awesome! 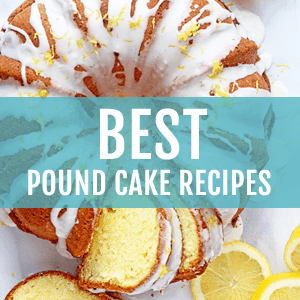 Love the idea of this pound cake. Looks so moist and delicious! Happy Pound Cake Day! Thanks so much Laura! This is one of my favorite cakes now! Looks so great and dense! love it! Yes the denseness is also so soft and melts in your mouth! 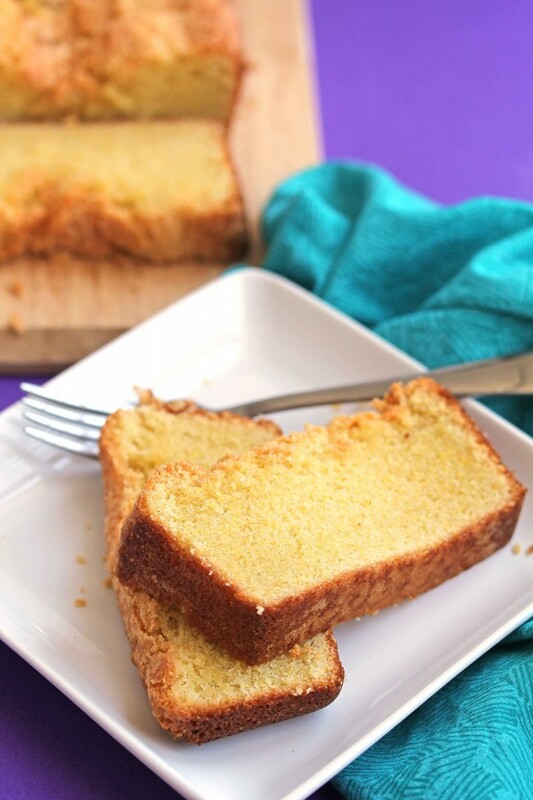 omg I never thought of cornmeal pound cake! I actually think I would like this even better than regular! I think I might Kayle! Ohhh – I love the way this sounds. 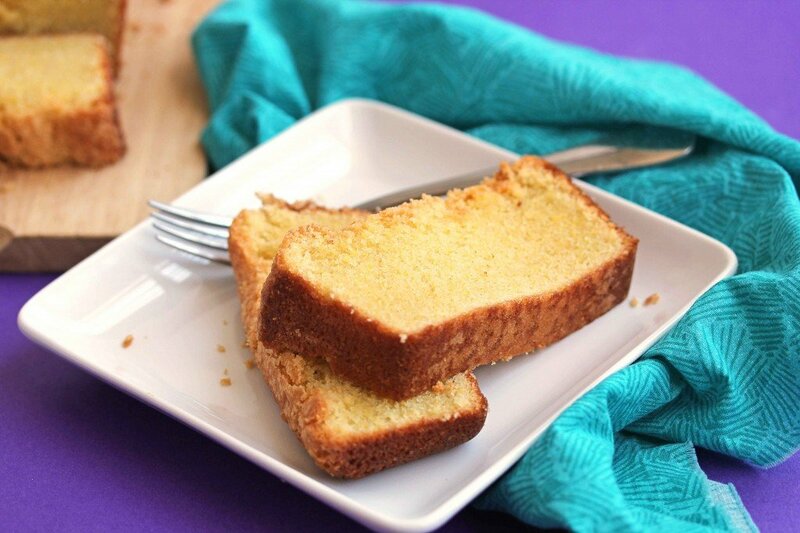 Such a fun idea to combine pound cake and cornbread. Sounds absolutely delicious!! Why thanks so much Kathi! It is totally fun! It is so unique yet so unbelievable Zainab!! I LOVE Jif (style) cornbread and I LOVE pound cake so I’m going to go ahead and declare this recipe a total winner. I’m definitely pinning this! The texture is awesome Samina! Thank you!